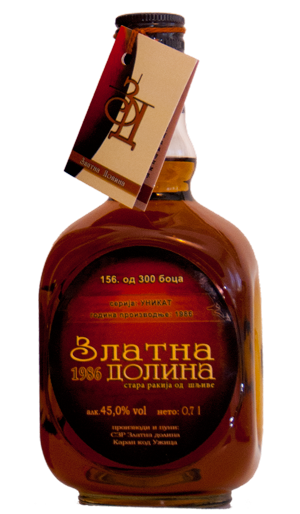 This amazing brandy was produced in 1986, and has been aging in an oaken barrel right up to its bottling. 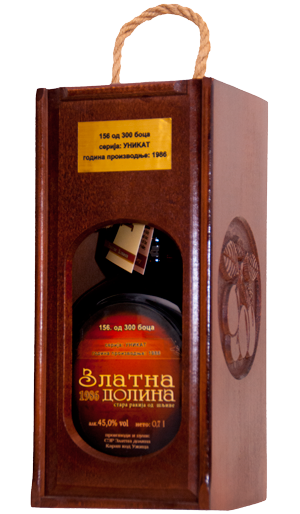 Only 300 bottles are available, each of them, as well as their boxes, marked with a serial number. Of a deep and magically alluring green color, with an pronounced shade of oak. Having an intense smell and a coniferous-vegetative bouquet, with a hint of “rancio”. The taste – full and harmonious, highly complex, of a coniferious-vanillesque-herbal character, with a piquant acidity. The aftertaste – memorable and long-lasting.